David Axelrod (A.B. '76), President Barack Obama’s longtime chief political strategist, announced the creation of the University of Chicago Institute of Politics at a panel event in International House’s Assembly Hall yesterday afternoon. Slated to open next January, the Institute will try to establish a practical approach to political science: It will offer internships in politics and communications, host fellows who will conduct small study groups, and present series of speakers in a wide variety of fields related to public life. The internship program will build on existing offerings like the Jeff Metcalf Fellows Program. Axelrod also hopes to use the series of speakers and fellows to make the University “a top destination for political actors and policy makers.” New York Times columnist David Brooks (A.B. '83), one of Thursday’s panelists, will serve on the Institute’s advisory board alongside Massachusetts Governor Deval Patrick, historian Doris Kearns-Goodwin, and Republican consultant Mike Murphy, among others. The creation of the Institute will mark Axelrod’s departure from political life and a homecoming to Hyde Park, though he alluded to one more “chore” to take care of before the end of the 2012 presidential elections. Axelrod also alluded to his deep ties to the area: While a student he wrote for both the Maroon and Hyde Park Herald, and married his wife, a Hyde Park native, in Bond Chapel. The Institute will be open to students from all divisions of the University, but will operate under the purview of the College and the Harris School of Public Policy. After meeting with students over the past few months, Axelrod decided the U of C was the ideal place for the program he envisioned. The Institute will be located in a University-owned building at 5707 S. Woodlawn Avenue, Axelrod said, though a University spokesperson could not immediately confirm the location. In order to make use of what Axelrod calls a “world-class” faculty at the University, he has enlisted former Chair of the Council of Economic Advisers and Booth School Professor Austan Goolsbee to act as a faculty liaison for the Institute. In addition to conferring with Axelrod on the goals of the Institute, Goolsbee said he plans to coordinate with different speakers and involve other professors within the program. The Institute will offer a different approach to education than the theoretical style often associated with the College. 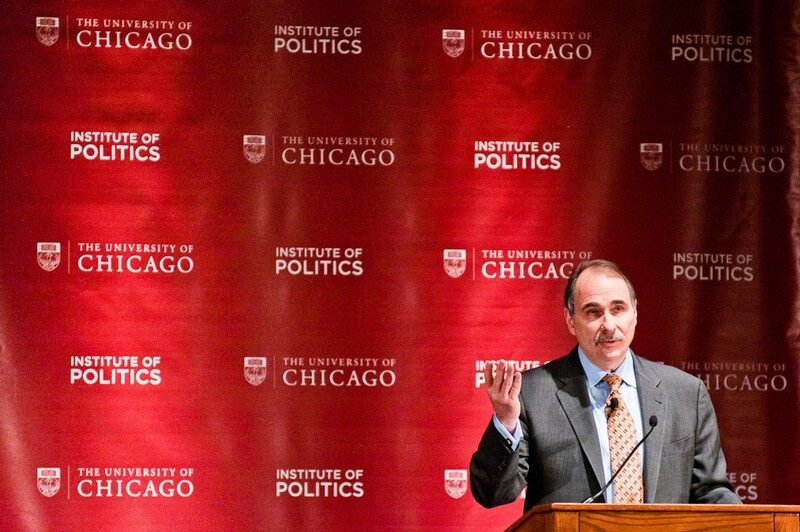 Instead of analyzing political theory in the abstract, the Institute will put students directly in contact with the practice of politics, Axelrod said. Dean of the College John Boyer said that the pragmatic focus of the Institute would complement the academic rigor of the College. Axelrod, who has spent the last 27 years as a Democratic strategist, has stressed the Institutes’s non-partisanship, and said that the Institute will draw on a network of political figures from both sides of the aisle. After the 2012 presidential election ends, Axelrod said he will spend 20 hours a week at the Institute and devote the rest of his time to writing. Student leaders from UC Dems, College Republicans, and Student Government discussed the Institute with Axelrod a week-and-a-half before the official announcement. Fourth-year and UC Dems President Ricky Zacharias and College Republicans President Stephen Sunderman, both fourth-years, agreed that the Institute will help encourage continued political participation. Axelrod said that he hopes the Institute will give him a new energy about the field in which he has become nationally renowned.